For this class, Caroline Libby and Haven Wheelock have worked to help create educational materials for participants of the Syringe Exchange as well as for medical providers in Outside In's primary health care clinic. Over the course of the term, we presented to our class; slides from this presentation are below. 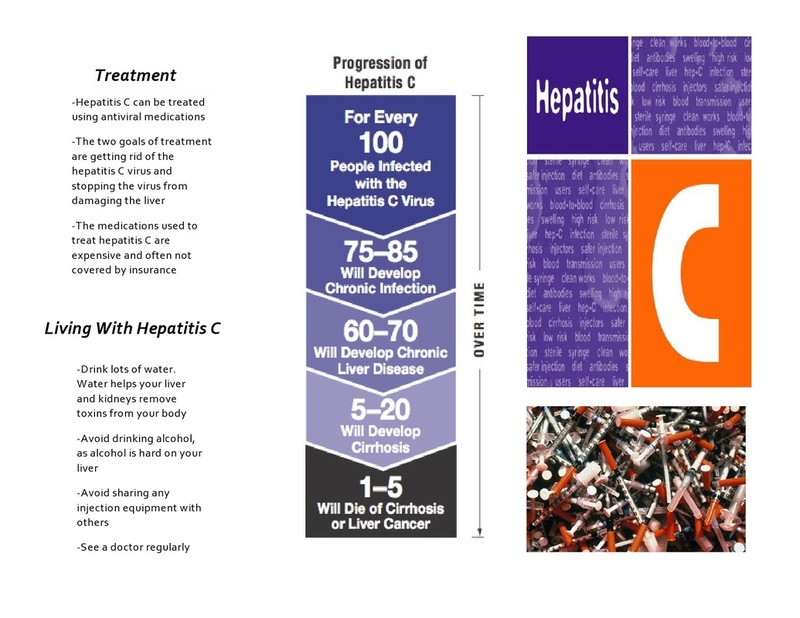 We also have met with doctors at the medical clinic about our current protocols around Hepatitis C testing in our clinic and our follow up to care for patients who do test positive in our space. We created testing protocols, using the OraQuick Rapid HCV testing device, which have been implemented in the Syringe Exchange. Rates of people who are getting tested in that space have doubled in the 6 months since implementation began. 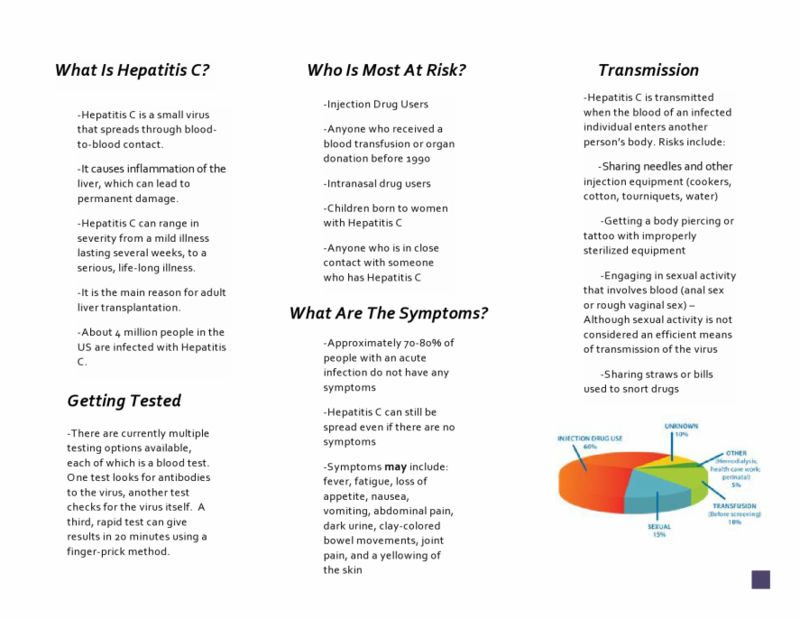 In addition to this, we have created a new HCV flyer for clients. This flyer is currently being vetted through our review board. Before any new flyers can be given to clients our medical director must approve its content for medical accuracy and our Client Advisory Board (CAB) must approve that it is created in a way that is patient-centered. This video gives a brief explanation about what hepatitis C is and how it effects your liver. According to the CDC,“Hepatitis” means inflammation of the liver. Toxins, certain drugs, some diseases, heavy alcohol use, and bacterial and viral infections can all cause hepatitis. Hepatitis is also the name of a family of viral infections that affect the liver; the most common types are Hepatitis A, Hepatitis B, and Hepatitis C. There are roughly 3.2 million people living with Hepatitis C in the US currently and each year an additional 16,000 people find out that they have it. The work that we have done, and continue to do, is deeply important to us both. As Haven prepares to enter graduate school, and Caroline prepares to enter medical school, we both plan to continue serving marginalized populations throughout school and our careers. While that may look different for each of us, our end goal is the same: effect change in our communities and advocate for those who need it the most. The next step for both of us, MPH and MD, will give us the necessary tools to help us to move forward in helping the evolving needs of the community, and we are both thrilled to see where it will take us.